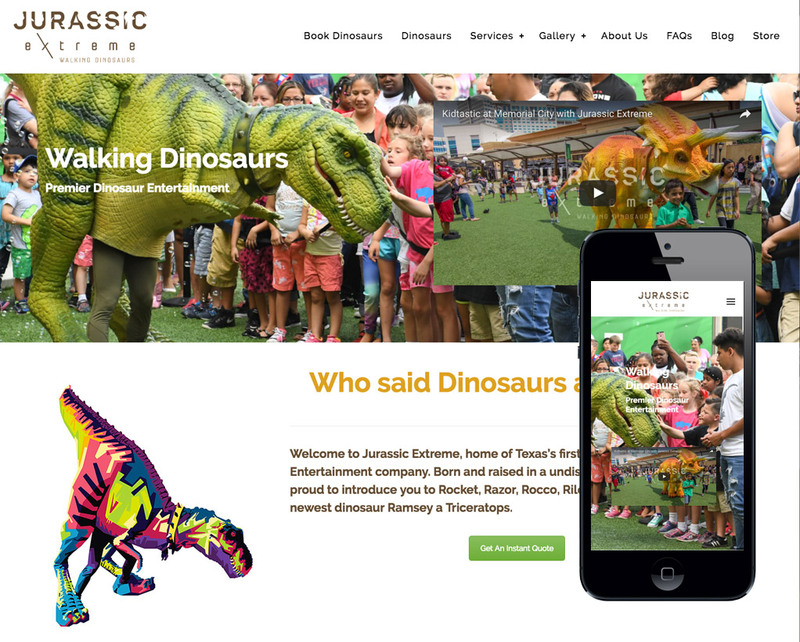 Jurassic Extreme is Texas’s first Walking Dinosaur Entertainment Company. Their business concept is extremely unique and so much fun to work with. REKORD was hired to create their brand and design. We had the opportunity to provide them with our full service marketing package which consisted of business cards, flyers, website branding/design and video content. We also manage their social media campaigns and create original content to keep their online presence fun and engaging for their audience. We take great pride in helping Jurassic Extreme be the number one premiere entertainment company for kids and….. adults too! Hey, everyone loves dinosaurs, right?